Root’s Canvas and Upholstery has been serving the greater Kalamazoo area for over 20 years. 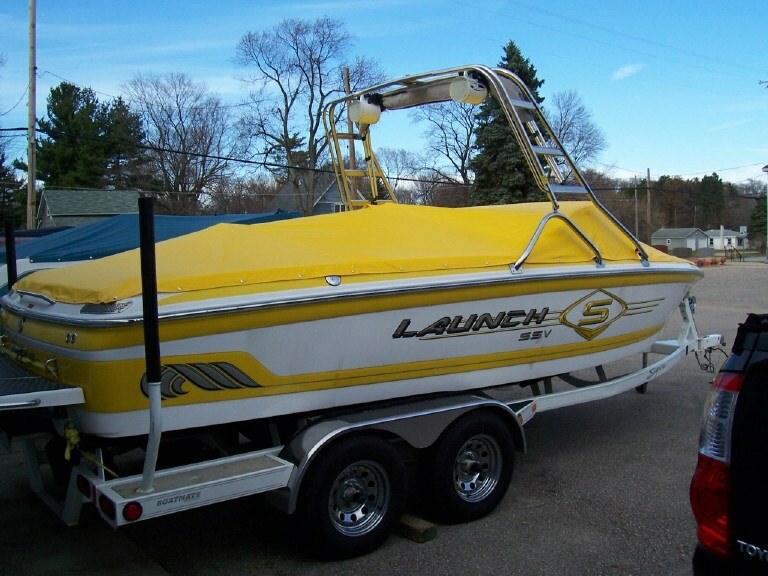 We specialize in custom marine work including boat covers, vinyl seats and bimini tops. Other products include awnings, marine carpet, boat campers, and general upholstery. We also offer many services including repairing existing upholstery. Call today for a full list of services. We carry a full line of 303(TM) products to protect your upholstery goods. If you can dream it we can build it. Call or stop in today for a quote. Because every product we make is unique to the boat, we require the boat on appointment. We will NOT make a new boat cover from a old cover as it will not fit the boat properly. In order to provide an accurate repair quote we need to see the project. The project may be dropped off or photographed and sent to us. Copyright Root's Canvas 2011. All rights reserved.